Don’t suffer any longer with unnecessary allergies, asthma, and illness that can be subdued or prevented with a new air purification system in Lake County, FL. You are probably well aware of the benefits to choosing heating and air conditioning units for your home, but have you considered also investing in an air purification system? 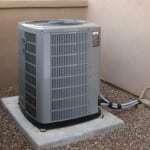 Heating and air conditioning units are for your comfort within your home, and an air purification system is no exception. New air purification systems can help your home be more relaxing in ways you probably never knew. If you have allergies, asthma, or just enjoy fresh air, listen to this. An air purification system cleans the air within your home, which may actually be dirtier than the air outside. You no longer need to suffer from conditions that can be aided with one of our new air purification systems. Air purification systems filter out harmful agents that can cause illness from airborne viruses and bacteria. They also filter out air contaminants that produce allergy and asthma symptoms. Air purification systems are known to help keep pet dander, pollen, dust, and even some odors at a minimum. Our previous customers who have purchased one of these systems are pleased to feel they can breathe easier within their own home. They are proud of the noticeable changes in cleanliness and freshness of their air. Don’t suffer any longer with unnecessary allergies, asthma, and illness that can be subdued or prevented. If you think one of our new air purification systems may benefit you, give us a call. Let us explain the benefits of installing an air purification system and what it can mean for your home. We provide service in Lake County, FL and surrounding areas. AC Guys Cooling & Heating Services offers high-quality new air purification systems for clients in Winter Garden, Clermont, Lake County, Marion County, Orange County, Ocala, Orlando, Seminole County, and Winter Park, Florida! When you need the best in residential/commercial heating & cooling, choose AC Guys Cooling & Heating Services, serving Central Florida. We work 7 days a week and our rates are always the same - NO WEEKEND or EXTENDED HOURLY CHARGES! 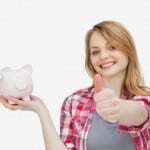 Government Rebates – More Reason to Upgrade Your Air Conditioning & Heating System! Enjoy the tax credits, the energy bill savings, and the increased comfort level at home! Save on the cost of a pre-owned heat pump or air conditioner! Convert any unused space in your home into a comfortable, usable space. 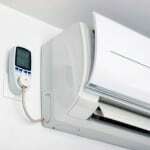 Install a ductless, mini-split heating and cooling system today! Skip the DIY Project & Schedule Your Appointment Today! We’ll Clean Your Ducts for Just $199! 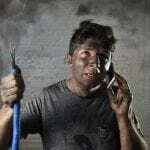 Contact Us to Schedule Your Duct Cleaning Appointment! We service all of Central Florida, including Orange, Seminole, Lake, Sumter, Citrus and Marion Counties. 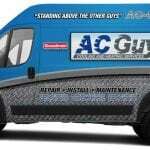 How Often Should You Have Air Duct Cleaning Done?